By law, the depth of tread on a car tyre must be a particular depth. In the UK this should be a minimum of 1.6mm in a continuous band throughout the central three-quarters of the tread width, throughout the whole of the circumference. Worn tears will mean that the car will not be able to stop within a legal distance, which could easily lead to accidents. 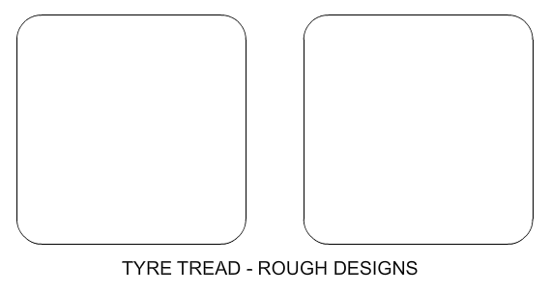 Draw two rough designs for a symbol to represent tyre tread checks that are carried out by a garage. 1. Take your best design and carefully draw it in the box below. 2. Add colour and shade to enhance the presentation. 3. 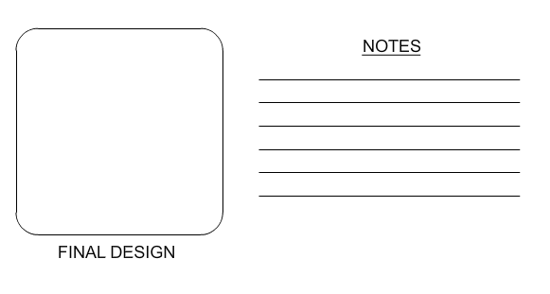 Add notes to explain your chosen design for the symbol.